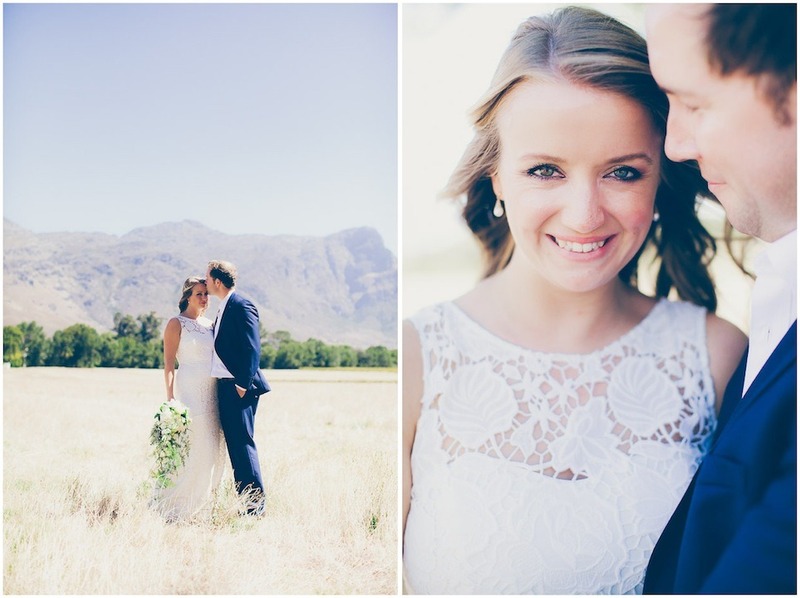 Lisa & Daniel had the most beautiful wedding in Franschhoek. This divine English couple had friends & family from all over the world, joining to celebrate their big day. Here are words of thanks from Lisa and Daniel about their Wedding. From the very start having Pippa on our side was an absolute lifesaver. She immediately understood what we wanted in terms of the style and tone of the wedding. She patiently talked us through the options and made some great suggestions along the way. Pippa saved us a huge amount of time and money (all without compromising quality) by using here experience and connecting us to her network of providers, all of whom where professional and a pleasure to deal with. Pippa’s preparation for our big day was flawless. We had immediately felt comfortable with her managing, not only the day, but much of the logistics for the +80 guests we had attending, with the majority coming from overseas. Pippa’s competence made it easy for us to trust her, and being able to handover the 1000’s of small details was fantastic. On the day itself Pippa was there from the start, making sure everything ran smoothly, leaving us to enjoy the day without stress. Knowing she was there and because she’s so on it, my wife and I relaxed completely and we wouldn’t have changed a single element of the day. Largely due to Pippa’s involvement.